1.1	IONIQ car sharing is offered by Car4Share B.V. (hereafter: IONIQ car sharing), having its principal place of business at Vonderweg 44, 7468 ZJ in Enter, the Netherlands and registered at the Dutch Chamber of Commerce under number 69261539. 1.2	IONIQ car sharing can be reached at the above address, as well as via email support@ioniqcarsharing.nl and telephone +31 (0)85 0475 055. 1.3	IONIQ car sharing is committed to protecting your privacy. This statement is meant to inform you about the processing of your personal data in relation to your use of IONIQ car sharing, your use of the IONIQ car sharing website (hereafter: Website), the IONIQ car sharing App (hereafter: App) and in relation to your communication with us. 1.4	IONIQ car sharing is the ‘controller’ for the processing of your personal as meant in the Dutch Personal Data Protection Act (Wet bescherming persoonsgegevens) and the General Data Protection Regulation. 2.1	Your name, surname, address, phone number and email address are processed to identify you and keep in contact with you in the course of your agreement for IONIQ car sharing with IONIQ car sharing , and to carry out and enforce said agreement. 2.2	Your age will be used to determine whether you meet our minimum age requirement (18 years) for use of IONIQ car sharing. 2.3	We request you to upload photos of the front and back of your driving license (excluding your BSN or other national identification number) and a photo of yourself which will be processed by an external service provider located and operating in the Netherlands, specialized in online verification of personal identification documents. This is to verify the validity and genuineness of the driving license and your identity. You hereby give us permission to use your uploaded photos as set out above. If you do not want to share the required photos you cannot use our services as the validation process is a necessary requirement for the performance of the service/contract. 2.4	We will use your driving license number in order to verify the validity of your license periodically, through our service provider meant in article 2.3. The date of issue of your driving license will be used to determine whether you have had your license at least for a year (as we require). 2.5	Your location will be processed in the App to determine the nearest available IONIQ cars to you. The location of the IONIQ car at your moment of checkout is used to determine whether checkout has taken place within the permitted checkout area. The location of the IONIQ is further used to be able to send our service team or emergency services to the car if the situation requires it. 2.6	If there are indications that point to emergencies or serious violations of our agreement terms (such as theft, vandalism, accidents or driving in areas where this is not permitted), IONIQ car sharing may determine the location of the car. 2.7	We process the amounts you are indebted and have paid for the use of IONIQ car sharing for billing purposes. Payment is done through payment providers, IONIQ car sharing will not store your bank or credit card details. 2.8	In order to determine the amount you are indebted, some data will be processed regarding your use of the IONIQ car, in particular the duration and date and time of the start and end of your use, and the distance travelled in kilometers. 2.9	Some technical details regarding the status of the IONIQ car is processed in order to keep track of the availability of the car for other users, and of problems, defects and need for maintenance. In particular, we process whether the motor is on or off, whether the door is open or closed and locked, whether the car is being charged, the mileage and the battery level. 2.10	We use your contact details, as well as the frequency and type of use of our service, to send you promotional messages regarding our products and services and special offers. Some of your personal data may be used for quality and market research. 2.11	The legal basis for the processing mentioned under articles 2.1 – 2.9 is the carrying out of the agreement regarding the use of IONIQ car sharing. Specifically, for use of your photo the legal basis is your consent, which we ask you before use of your photo. The legal basis for promotional purposes as meant in article 2.10 is your consent, which we ask you to give prior to completion of your subscription with IONIQ car sharing. The legal basis for the purposes meant in article 2.11 is our legitimate interest in improving our products and services. 3.1	IONIQ car sharing will not store your personal data for longer than necessary for the purposes set out in article 2. In particular, the scan of your driving license and photo will not be stored after the verification as set out in that article. 3.2	Your personal data may be stored longer for purposes of administration and tax law obligations, in particular your name, address and billing information. 3.3	The provision of your personal data is a requirement of IONIQ car sharing for entering into the contract for use of IONIQ car sharing. Providing the personal data that IONIQ car sharing requests from you is not a statutory obligation, but IONIQ car sharing reserves the right to refuse its services if you do not provide this personal data. 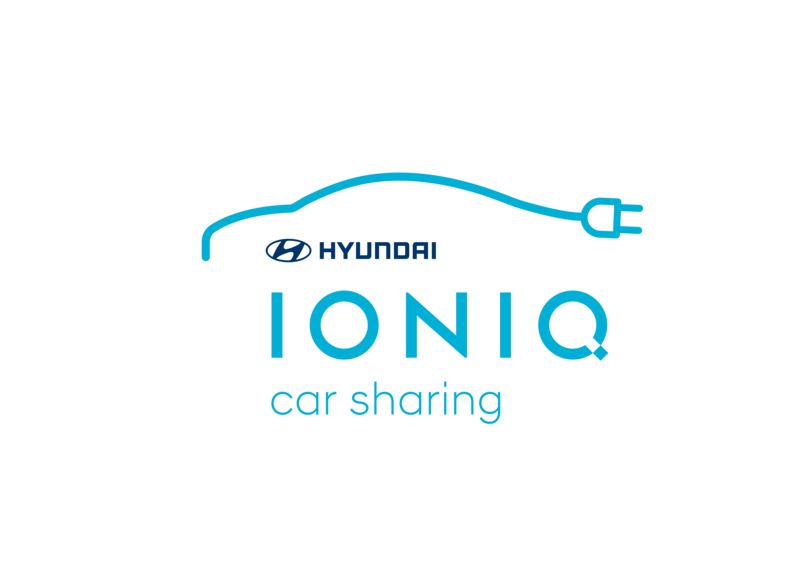 4.1	If IONIQ car sharing uses services of third parties during the course of the agreement or IONIQ car sharing (for instance for payment services, vehicle transport, towing and salvaging), IONIQ car sharing may pass some personal data to said third party, insofar as this is required for the fulfillment of said agreement. 5.1	You have the right to request from IONIQ car sharing access to and rectification or erasure of personal data or restriction of processing concerning you or to object to processing as well as the right to data portability. You also have the right to lodge a complaint with a supervisory authority. 5.2	You have the right to withdraw your consent for the processing of personal data at any time, without affecting the lawfulness of processing based on consent before its withdrawal. Withdrawing of consent may however lead to IONIQ car sharing not being able to provide services to you anymore. Withdrawing your consent can be done at any time by sending an e-mail to support@ioniqcarsharing.nl. 6.1	This statement may change from time to time. We will publish the most recent version of the statement of our Website and in our App.